It appears that there is a lot of confusion regarding the Wire Act and how it refers to online gambling in the United States. Some of these misunderstandings have even been used to oppose online gambling and online poker in the recent hearing held on the subject by the US House of Representatives. It is called “The State of Online Gaming” and many see it as the decisive debate to determine what the future of iGaming will be in the country. We should start off by mentioning that the Department of Justice changed its stance on the matter in December 2011, stating the Wire Act only applies sports betting. The opponents of online gambling referred to this decision by the DOJ as something which changed the entire online gambling industry in the country. However, online gambling was already available in Nevada before this opinion got released and it wasn’t just poker. Sports betting, which is referred to as being illegal in the Wire Act, was actually thriving in Nevada – the only state that has legal single game wagering. This was possible for one major reason which many people seem to overlook. The Wire Act is officially called the Interstate Wire Act and it covers interstate betting. The law clearly says that sports betting is illegal between two or more states and not within one state. Intrastate gambling is not covered by the Wire Act in any way and this is why Nevada already had legal online gambling within its borders even before the DOJ changed its opinion. A concern which was raised on Tuesday at the committee meeting refers to the possibility of the Congress passing a new law which would ban online gambling and affect the already existing iGaming markets in different states. The DOJ reversing its decision and stating that the Wire Act doesn’t just refer to sports and that it also includes online gambling was also mentioned. However, both these scenarios seem highly implausible. Since Nevada already had online gaming prior to December 2011, it is clear that intrastate online gambling was and is not illegal by any laws. There are now three states – Nevada, Delaware and New Jersey – which offer regulated online gambling within their respective borders and even if the Wire Act changes again, they should be safe. 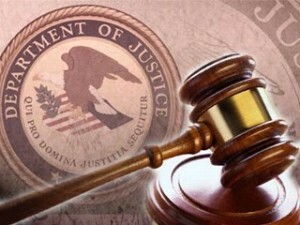 A change in the opinion of the Department of Justice or directly to the federal law can indeed affect interstate compacts, which have not become available as of now but are up for discussion between the three states and others which want to follow in their footsteps. Past situations indicate the fact that current legislatures would be given a pass in case of change. The Professional and Amateur Sports Protection Act of 1992 prevented the spread of sports betting throughout the country but it included exceptions for the states which had sports betting already available when the bill passed – Delaware, Nevada, Oregon and Montana. 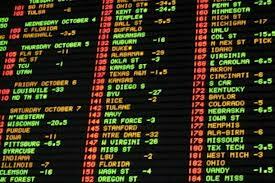 It even allowed for states to pass new sports betting legislature within the first year. New Jersey is now looking to challenge the PASPA and offer sports betting, with the hearing taking place in the near future. Any attempt from the DOJ or the Congress to change the current regulations would have to go through the court system, especially if it would affect the intrastate regulations recently passed. It is safe to say that nothing will happen without a fight.